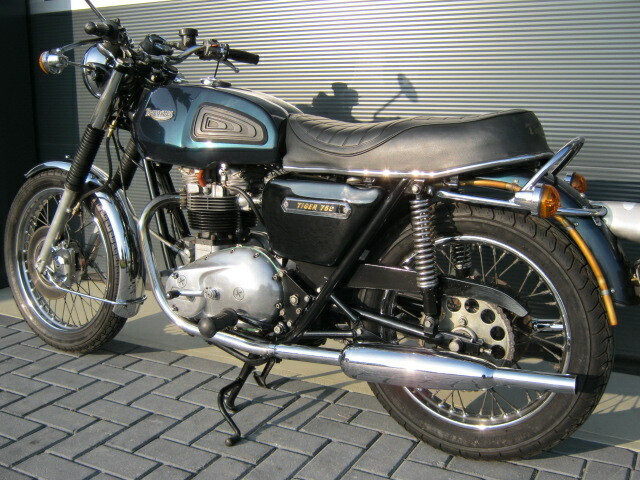 Neat and well running Triumph Tiger 750cc, European version. Later model with front and rear discbrakes. Equipped with old-style exhausts. Matching numbers and Dutch registration.